Fourteen-year-old Alex has heard lies all his life. His mother has rarely told him the truth. Instead, she filled his childhood with broken promises, neglect and abuse. Confused and angry, Alex has found plenty of trouble in his life. Now on probation, Alex has just moved to his grandparents' home in a small Oregon town. If he can't stay out of trouble here, he will be sent to a "training camp" for delinquents. On his first day at the high school, he is not surprised to see plenty of unfriendly faces. But when a girl is unexpectedly kind to him, Alex wonders if he could begin to trust someone. Winifred Morris, author of several books for young readers, has taught writing in high school and colleges. 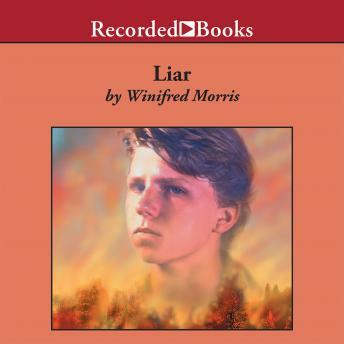 In Liar, she offers the moving story of a young man taking the first painful steps toward honesty with others-and himself.